Using quality sheep pellets to finish old seasons superfine merino lambs in an El Nino weather season ensured three quarters of the mob were off the property within 8 weeks after their spring shearing. Current sale options for old season’s full drop of superfine merino wether lambs with a 25 kg average live weight was the store lamb market, a subdued merino wether replacement market or value add with quality sheep pellets to finish merino lambs to a saleable minimum live weight of 32kgs. To lift 450 superfine wether merino lambs live weights from a range of 18 to 30 kg range to achieve minimum 32 kg live weight within 6 to 8 weeks off shears. 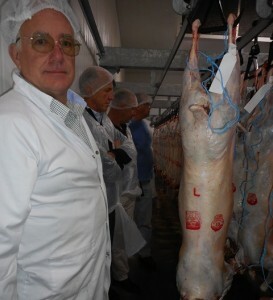 Niche merino lamb market opportunity through Tasmanian Quality Meats (TQM) at Cressy Tasmania. High performance sheep pellets, Rivalea lamb finisher pellets were fed out daily in a feed line on the ground in a paddock environment to utilise available standing dry matter. Andrew Bailey, Ta smanian Institute of Agriculture (TIA) Sheep and Wool Officer, assisted with expert support in our first intensive sheep feed program and feedback on lamb weight gains. 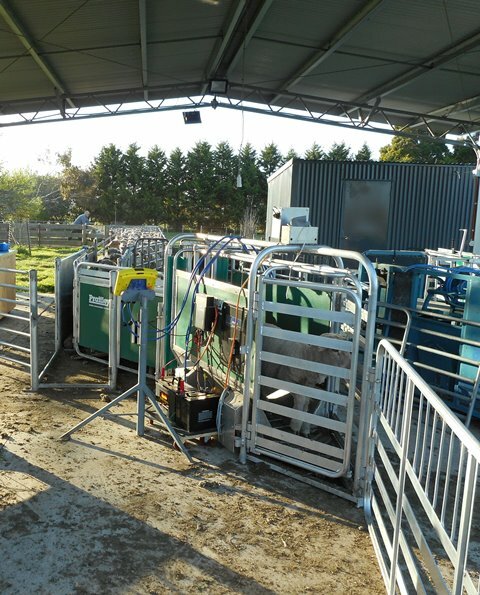 Feedback included assessing individual animal weight gain against feed intake and their individual rate of weight gain in an attempt to identify poor doers. The question was whether these animals presented in any particular weight group or were they spread across all weight ranges within the merino lamb wether drop of 450 lambs. The information gained will be used to try and to identify early, those animals that will not perform well in an enhanced feed program of specialist sheep pellets for finishing lambs. TQM chilled merino lamb ni che for a Middle East market specialising in a smaller, quality low fat table lamb. 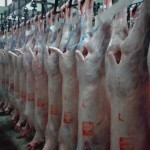 – merino lambs of 12 to 18 kg dressed weight to average 15kg/head for the load. 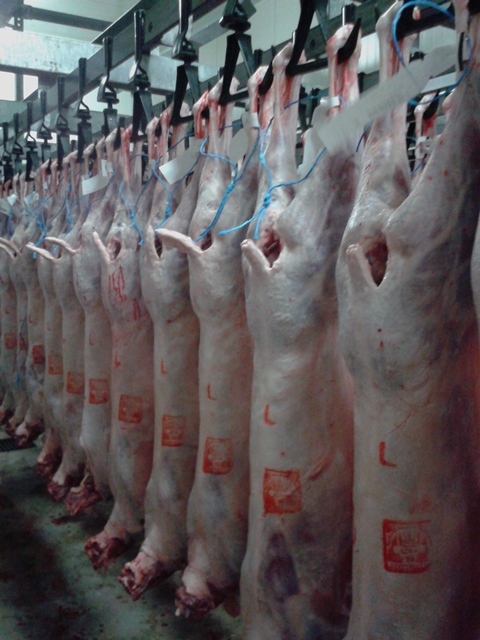 – optimum lamb is condition score 2, to preserve the bagged chilled lambs appearance after transport and enhance shelf life for the customer. Rivalea Sling Shot lamb finisher pellets were used in the project, a specifically formulated complete feed for finishing lambs in the paddock or feed lot situation. The lamb finisher pellets have a minimum 17 percent protein, 12.5 MJ ME/kg, trace elements, vitamins, and minerals to guarantee a quality lamb finisher feed. Rivalea slingshot fact sheet for intensive lamb feeding protocols were followed to prepare the merino lambs for the intensive feed program of sheep pellets. The preparation included vaccinations, vitamin supplements and zero worm egg counts. The fact sheet also has tips on mob size and group bodyweights as well as feed induction hints and rates. Lamb finisher pellets were fed in increasing increments from until the lambs were on 1000gms/day. The sheep pellet line on the ground was up to 1.5km long to ensure all 450 merino lambs had access to the feed line and to avoid gorging. All the merino wether lambs had electronic ear tags (EID) inserted for individual weekly weight monitoring and recording. final quarter of lambs took up to a further 4 weeks to finish. No merino lamb deaths using Rivalea lamb finisher pellets following their intensive feed protocol for this project. There were four lambs that became unwell about 3 to 4 weeks into program with an infection and hindsight showed they had consecutive weight losses prior to the signs of scouring. These lambs were isolated and successfully treated and put back with intensive fed group and sold after their treatment withholding period met the export slaughter interval. Daily weight gains of up to 400gm/day were recorded in some individual animals but daily weight gains varied considerably across individuals within the mob. More analytical information from TIA on the individual animal weight gain performance across the mob will be available later. Rivalea lamb finisher pellets are a complete 17% protein finisher feed that enabled three quarters of an unclassed merino lamb mob to achieve saleable weights within our target time frame in a dry and cold El Nino Tasmanian spring. The quality sheep pellets were a safe alternative finisher food, easy to feed out in any paddock where there was standing dry matter and fresh water. The merino wether lambs stayed clean for sale and required little handling apart from weekly weighs. We were able to utilise existing equipment and infrastructure for this exercise and gave us opportunity to enter alternative market relatively quickly. The lamb finisher pellets were a strategic lamb feed, effective in lifting the whole merino wether lamb mob to a viable level offering our enterprise an alternative market option in a wide spread El Nino season.